You can form a question just by changing the tone of your voice to give a regular sentence the sound of question. Du denkst and die Reise. – You are thinking about the trip. Du denkst and die Reise? – Are you thinking about the trip? 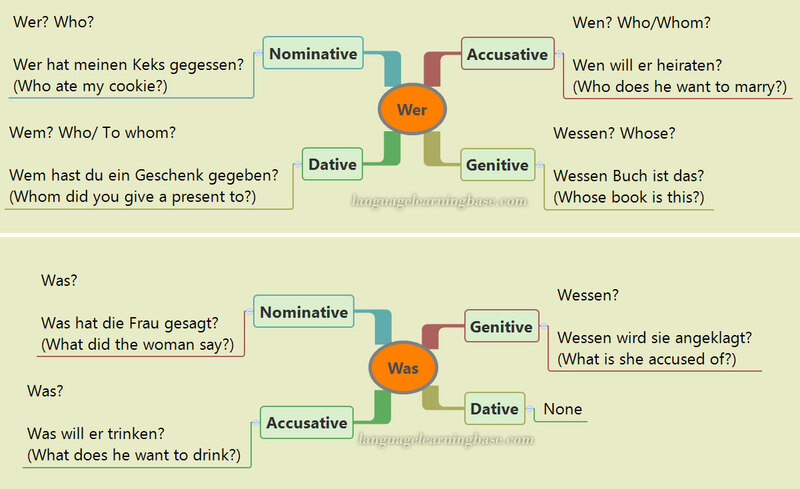 Another way of forming questions in German is by adding the tag nicht wahr to your statement – which equals English “do you?”, “doesn’t it”, “are you”, etc. Du bist nicht müde, nicht wahr? – You are not tired, are you? You can form questions by reversing the subject noun/pronoun and conjugated verb. Du gehst nach Hause. – You are going home. Gehst du nach Hause? – Are you going home? W–Questions are questions with question words. Wer - This is one of the two W-words (Fragewörter) that are declinable.